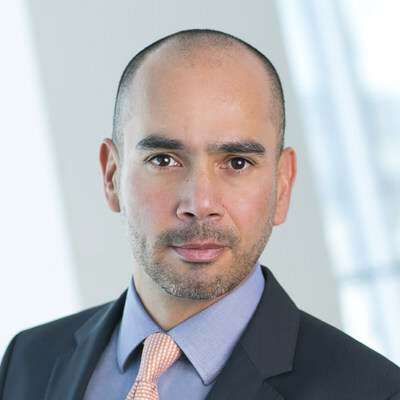 Astellas Promotes Rodrigo Fernandez to Vice President, Latin America | Astellas Pharma US, Inc. Learn more about Astellas U.S. The 2017 CSR Report Card reviews our progress and celebrates our achievements over the past year. Feature Stories showcase the people and programs that bring to life the Astellas Way values and culture. This website is intended for U.S. residents only. This website contains information about products that may not be available in all countries, or may be available under different trademarks, for different indications, or in different dosages. Nothing contained herein should be considered a solicitation, promotion or advertisement for any drug including those under development. You are now leaving www.astellas.com/us. The website you are linking to is neither owned nor controlled by Astellas. Astellas is not responsible for the content or services on this site. NORTHBROOK, Ill., Aug. 23, 2018 /PRNewswire/ -- Astellas today announced that Rodrigo Fernandez has been promoted to vice president, Latin America, based in Northbrook and reporting to Percival Barretto-Ko, president, Astellas Americas. Fernandez previously served as executive director of Astellas' International Business with responsibility for managing Astellas' business in Latin America outside of Brazil and Colombia. In his new role, Fernandez will be responsible for leading Astellas' operations and continued growth across Latin America. João Carlos Britto, general manager of Astellas Farma Brasil and Sandra Cifuentes, general manager of Astellas Farma Colombia will now report to Fernandez, along with the International Business team. "Astellas is deeply committed to delivering and creating value through products that serve patients across nearly 20 countries in Latin America," said Barretto-Ko. "I'm confident that Rodrigo's deep experience, collaborative approach and track record at Astellas will position the company well as we build for the future." A native of Costa Rica, Fernandez has more than 20 years of global pharmaceutical experience. Prior to Astellas, he led AstraZeneca's business as country president in Central America, the Caribbean, Ecuador and Peru. Since 2004, Fernandez also served in various roles of increasing responsibility at AstraZeneca, including country manager and marketing company president for Slovenia and the West Balkans and global and regional commercial lead roles for various therapeutic areas. Fernandez holds a degree in Pharmacy from the University of Costa Rica and various executive certifications. Astellas is a pharmaceutical company dedicated to improving the health of people around the world through the provision of innovative and reliable pharmaceutical products. For more information on Astellas, please visit our website at http://www.astellas.us/. You can also follow us on Twitter at @AstellasUS, Facebook at http://www.facebook.com/AstellasUS or LinkedIn at www.linkedin.com/company/astellas-pharma. Copyright © 2019 Astellas Pharma US, Inc.